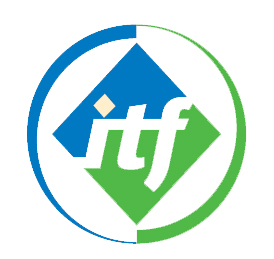 The International Transport Workers’ Federation (ITF) is a global federation of over 700 trade unions with 16.5 million members. It promotes solidarity, union building and respect for trade union and human rights worldwide. As you would expect from a multinational, multilingual organisation of that size and scope, there is a lot of administration required. In total there are 77 different boards – the executive board, management committee and 75 others – all holding meetings in multiple languages. Following this success, the ITF wanted to take things even further, and turned their attention to addressing paper use and information flow in the hundreds of meetings its boards and committees hold each year. The ITF put together an online board portal wish-list that included better functionality, annotations to materials (both public and private), the ability to move from document to document, and crucially, the ability to manage materials in a range of different languages. The IT department was then briefed to go out and find a solution that best matched these demands. The ITF was also invited to attend a BoardPacks user group to gain further understanding of the product and how similar organisations were using it, which helped greatly with the decision-making process. Since BoardPacks has been implemented with the ITF, the feedback has been almost universally positive among both users and the admin teams responsible for organising and collating materials for meetings. BoardPacks has also been a big hit with the thousands of board meeting attendees in the ITF, who have all been impressed with its sheer ease of use, mobile functionality and ability to juggle multiple languages.